When we are talking about Indian food it is the number of spices which are used to make a perfect dish. It is both whole and ground which are used to create the perfect combination of mixed spices. Most of the spices, with some of the exceptions like nutmeg which are dry roasted before its essential oils are released. Other spices can be blended with the help of a mortar and pestle and apart from that other spices can be blended from a grinder. There are two types of cardamom which are used. First is the green and the second one is the black. The most commonly used is green as it is used in lassis as well as desserts when the spices are mixed. Green Cardamom can completely blend wholly with different garam masalas, however when used in sweets and deserts the pod would be popped open and lightly crush the fragrant black seeds. Black Cardamom, on the other hand, it is the seeds which are used which essentially are powerful and smoky when used. 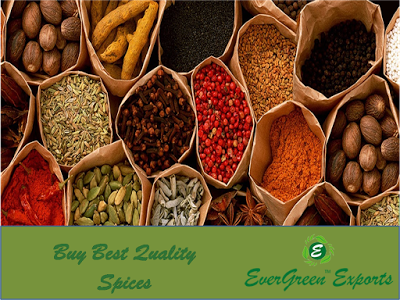 It is the most common spice which is used in cooking and its anise notes are easily recognizable in the Indian cooking. Cloves are technically flowers and after they are pressed all of their oils are released and then dried, before putting them into cooking. Black pepper is that Indian spice which is native as it is primarily belonging to the Western Ghats. It is a very hard spice to grow as it requires the proper amount of rainfall to be there and that is why the prices of black pepper vary a lot. Coriander is the most renowned spices which have been there since a very long time. It is characterized by its golden yellow color and the gently ridged texture. The seeds are very aromatic with these citrus notes. Mustard seeds can be yellow, black or brown and can be interchangeably used while cooking. The flavor of mustards seeds is released while cooking. This entry was posted in indian spices, Spices in India and tagged Indian spices, spices in India, spices Mumbai.